GSM gateways became more familiar with industries getting relied on telephonic communication to maintain business relations. It helps to connect business stations in remote locations where fixed lines cannot reach. This device works to fulfill GSM trunking needs that save investment expenses of mobile calls. It converts fixed-to-mobile calls into mobile-to-mobile calls. GSM gateways are used in organizations that are called call Centres, where call Centre operators accept and make a large number of calls. As a rule, gateways are used to make outgoing calls from operators call Centres. Once we start using GSM gateways we have the full control functionality and also the feature of live tracking of the call via which operator it is dialed and also the connections and the disconnection time of that call. 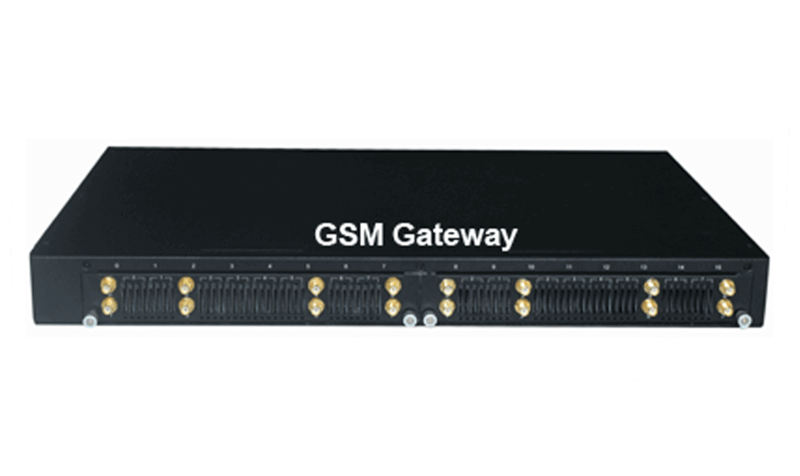 GSM gateways can be configured with the PARTH UCS , access to all the call related features. These gateways are available in various models. It comes with four GSM/3G SIM support systems in a compact design. This device enables integrated GSM/3G connectivity and open standard SIP support that connects easily with IP phones, IP-PBX software and hosted SIP trucking services. It is perfect to maintain communication between remote stations and main offices. These devices are designed with rich technical specification to reduce expenses of business communication. It is very easy to handle, and get installs without much hassle due to its web-based preferences. All standard hardware and advanced software configurations has been used to build this device. Configuration with existing IP-PBX, PBX soft switches like Lynx Server or Elastic is made easy for this device. It has 8 GSM channels that can easily bridge IP systems to GSM network. It comes with high-end hardware and software design to fulfill demand of updated business standards. It is compatible with GSM/SIM connection that saves business communication investments. It is compatible with SIM Cloud and SIM bank as well. All you need is to insert your SIM card into this device and configure it with telephone lines. Due to this easy-handle feature, it performs well in a stable manner. Its antenna configuration makes it easy to install with maximum 16 lines. It offers multi-channel communication facility with configuring up to 32 telephone lines with it. It works well between VoIP and mobile networks, and is the smartest variant of Aria GSM gateways. To maintain such a high-end connection limit, it is build with all modern hardware & software. It offers quick change of SIM cards without any hassle and keeps installation process very simple. Q1)	What are the applications of GSM gateway? The best application of GSM gateway is its cost saving feature. It saves up to 80% costs of calls made between fixed network and GSM network. Though the amount of saving depends on the tariff, you must check configuration of each device for accurate information. Q2) Is it possible to use GSM Gateway for emergency back-up? Yes, it can be used as back-up system in case of ISDN communication system fails. In this way, you can re-route all the PBX call to SIM card of this gateway. It will keep all the communication channels open. Q3) Is it possible to connect analogue devices to the GSM Gateway? No, this is not possible as GSM Gateway is a digital device and it will not support an analogue device. However, it can be possible to do so by using an ST adaptor but you will also need to use echo cancellation cards as well. Q4)	Which protocol is needed to use GSM Gateway and NIP together? The IP supported protocols are either Transparent or SIP protocol commonly used for VoIP. GSM gateway does not support it and it is better to find some other codec for this purpose. Q5)	Can the GSM Gateway come with different power supplies for example installation in the US? The GSM Gateway can be ordered with either the normal power supply modules, or a wide range power supply that will cover all required power requirements. Q6)	Where I have to install the GSM Gateway? GSM gateway needs to be installed directly to the incoming lines of the telecom system or to the PBX. It also comes with an inbuilt Cost router to overtake the features PBX lacks in it. Q7)	GSM Gateway connects to which Interfaces? GSM gateway can be connected via BRI/ISDN2 or PRI/E1/ISDN 30 or via a U interface. To connect it via U interface, you will need a U Line Card. But in every case, the protocol will be same ISDN protocol. Q8)	Why GSM Gateway with internal antenna shows signal problems sometime? It is always recommended to use external directional antenna for GSM gateway instead of internal antenna to get great signals.